I know I don’t get enough fibre in my diet. I just do not like the cereals that are said to be very high in fibre. I’ve tried to eat them because my doctor recommended that I get more fibre to help alleviate symptoms of IBS. It’s just really hard to eat something every day that you don’t really like! 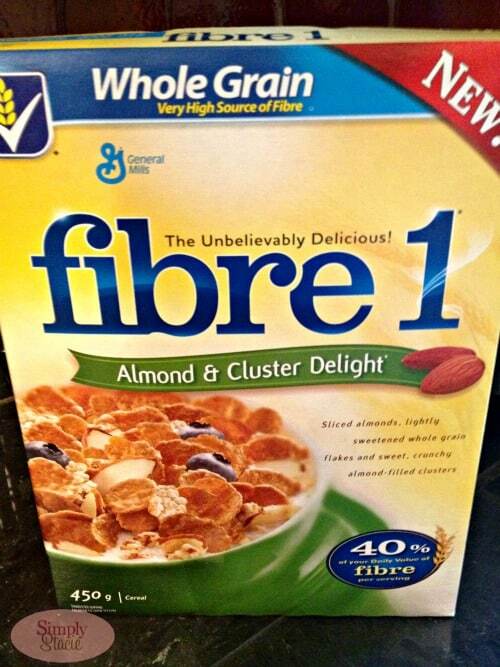 I wasn’t sure what to expect when I received a box of Fibre 1 Almond & Cluster Delight Cereal. Would it be bland tasting like the other cereals? More importantly, would I be able to take the one week challenge eating a bowl every day for breakfast? I was ready to find out. Fibre 1 Almond & Cluster Delight Cereal is a new cereal from General Mills that provides you with 40% of your daily recommended intake of fibre. I have to say that it’s the best tasting high fibre cereal I’ve ever tried. It’s sweet and crunchy with each bite. It definitely was not what I expected! I had no problems eating a bowl every day for breakfast. In fact, I looked forward to it each morning. I feel good knowing that I am eating a good source of fibre each day and I think my doctor will approve too. I like starting my day with something I enjoy eating vs. something I know I should eat, but don’t really like. Food should taste good and Fibre 1 Almond & Cluster Delight Cereal does! Even my 8 year old daughter, Bridget, is a fan. She asked if she could try a bite of mine to see what it was like. 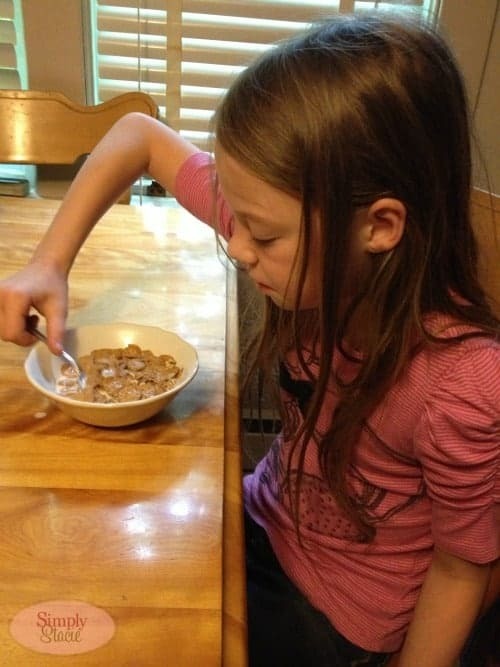 I guess she approved because she asked for her own bowl. What even shocked me more is that she chose Fibre 1 over her favourite cereal when I asked her what she wanted for breakfast. I did not see that coming! To celebrate the launch, General Mills is giving away free product coupons so you can try Fibre 1 Almond & Cluster Delight Cereal (and the other new products) too! From now until June 25th, you can grab one of two coupons redeemable on either July 16th or July 23rd. The July 16th coupon will be redeemable for either one (1) box Fibre 1 Almond & Cluster Delight Cereal OR one (1) box of Honey Nut Cheerios Hearty Oat Crunch. The July 23rd coupon redeemable for Nature Valley, Fibre 1 bars, Golden Grahams OR Cinnamon Toast Crunch treats. Visit Life Made Delicious on Facebook now to grab your coupon. Hurry though since it’s while supplies last! Fibre 1 honey clusters is my favourite kind of cereal, I eat it everyday so I am excited to try this new kind! 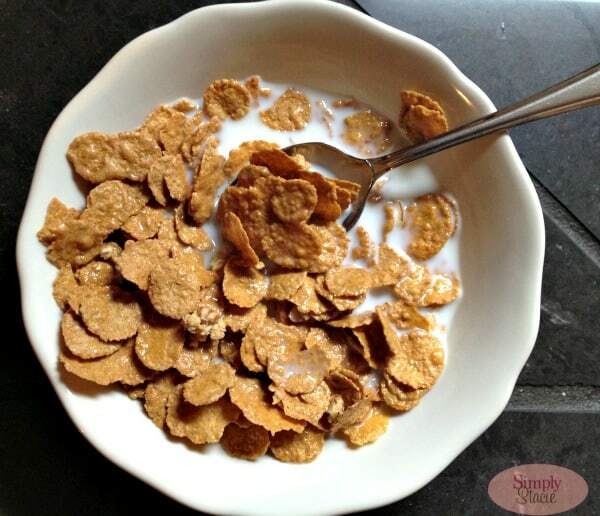 This cereal looks and sounds delicious and its better because its full of fibre and good for you! Thanks for this! I already have my coupons.It was great getting them as I buy this cereal already.Its delicious. I’m assuming this is similar to Fiber One in the US – I love their cereal! I hope I remember to redeem the coupons. Thanks for the heads-up about the coupons! I can’t wait to try some of these new products…as long I remember to redeem the coupon/find the items in the first place! Thank you for the post about this cereal. I already got my free coupon in the mail and I now know which cereal I will be using the coupon for — the Fibre 1 thanks to your post, Stacie.